Are You READY To Fly RC Jets? Flying rc jets airplanes can be fun but challenging even for experienced pilots. Have You Ever Flown An Aircraft of this type before? What Are The Various Types Of these kind of Aircraft? 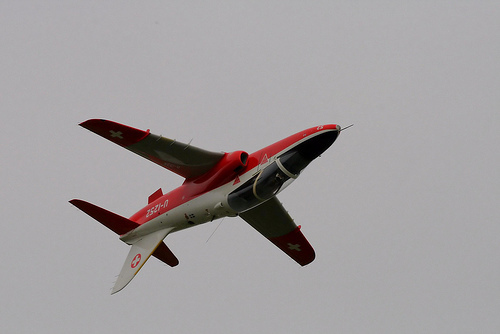 Have you flown various low wing sport planes and other aerobatic aircraft? These high speed aircraft fly differently in the sky than regular airplanes. Have You Ever Flown Any Type Of High Speed Aircraft? They fly very fast and smooth through the air. You really should be a experienced pilot before attempting to fly such advanced aircraft. They are not for beginner pilots. What Are The Various Types Of Jet Aircraft? Electric powered: Include the ducted fan model, it has a multi-blade propeller. The propeller is called a (impeller) it spins at a very high rpm. Aircraft that come equipped with such a propeller, are capable of flying at very HIGH speeds! Glow powered: These models are powered with a glow engine. Not as much fun flying as a ducted fan or turbine. Gas turbine: Can be very exciting and realistic, these aircraft are only for the most experienced pilots. Why? Because they fly extremely FAST and are very EXPENSIVE! If you are experienced enough to fly a jet, maybe an electric brushless motor might be a good choice to start this level of flying. Remmember these fly differently than regular remote control airplanes. Also can be more expensive than other radio control airplanes!